Talavera tile is a vivid craft meant to be cherished and appreciated for years to come. 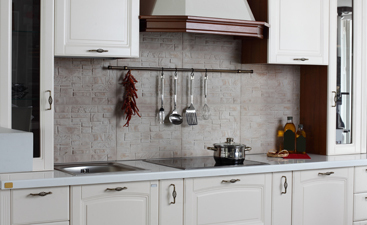 The true form of this unique tile is hand-formed from the rich white and black volcanic soils around Puebla, Mexico. Although a majority of modern Talavera is created to mimic the traditional version, its traditional use spans centuries. In this post, Transworld Tile will share a brief history of Talavera tile in an effort to keep a spotlight on this majestic product many of us, either enjoy in our San Fernando homes as floor tiles or are considering installing at a later date. Ready to shop Mexican tiles now? You can find our products online now or visit our showroom today! 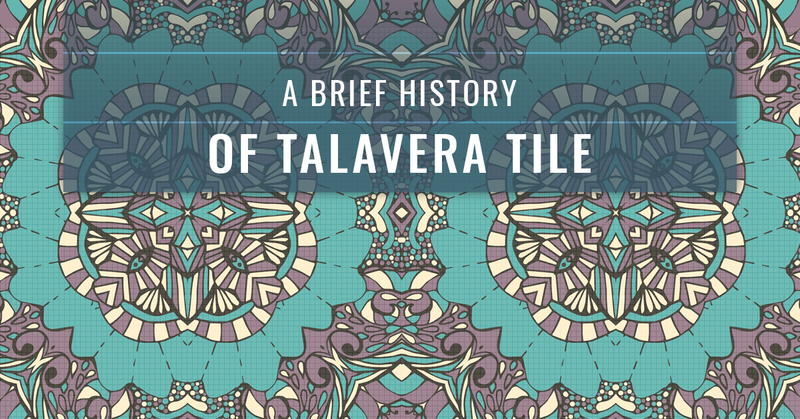 Continue reading to learn more about the history of Talavera tile. The Iberian town Talavera de la Reina become internationally renowned during the 15th and 16th centuries for its ceramic tile. It earned the nickname: La Ciudad de la Ceramica (The City of Ceramics). What’s more, the international residents who lived their during that time period highly influenced the beautiful tile designs, styles, and colors we still enjoy today. From the mid 16th century forward, Talavera tile was produced consistently in Puebla, Mexico due to the high quantity of quality clay and the traditions in the region surrounding the creation of earthenware. For those living in the region, ceramic production was natural. Thus, Talavera tile spread. Prior to Talavera’s white, milky glaze we know and love today, ceramics were not produced on a potter’s wheel nor tin-glazed. When the Spaniards arrived in the 16th century, they transformed the Mexican’s method of making, painting, and glazing pottery altogether. The most popular use of Talavera tile in Mexican history is the Church of Santo Domingo. The project began in 1571. Spanish monks called for craftsmen skilled in Talavera tile production from Talavera de la Reina to decorate the church. Others say the friars themselves knew how to produce Talavera tile and taught the local craftsmen. Nonetheless, the Santo Domingo was completed in 1611 and still touts one of the most beautiful uses of Talavera tile in history. The people in Puebla incorporated what they learned from Spanish settlers into their traditional tile production, which gave birth to a riot of colors and tile styles we still use today. From this combination of cultures and traditions, Talavera and many more styles of mexican tiles were born. When color is discussed, it represented the quality of the tile. Blue pigments were commonly held as the highest-quality color, which were expensive to produce. Throughout the 16th and 17th centuries this held true. However, in the 18th century a shift occurred, and it become more common to use less blue and more green, yellow, and mauve. 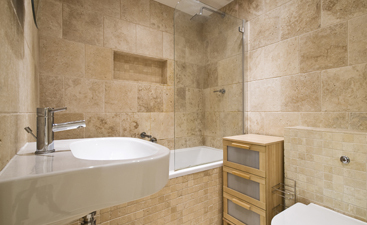 These colors were all naturally sourced, which added to the complex tile-quality system. Talavera in the color-quality system rose to the top. Not only was color used to define quality, the quantity of the tile also determined status in the culture. For example, the number of tiles used on a wall were directly equated to the prosperity of a family. The phrase, “to never be able to build a house with tiles” was born of this prosperity value system. As with most tile products, they are typically mass produced and the process has been optimized to offer the best tile in the quickest time. The Talavera tiles that come out of Puebla are still traditionally produced, which makes them more expensive than other comparable Talavera tiles on the market. Nonetheless, it’s important when purchasing Mexican tiles to know where it comes from, how it was produced, and what are some equatable versions available? At Transworld Tile, we offer residents of San Fernando, Thousand Oaks, and Los Angeles the best Talavera tile on the market. 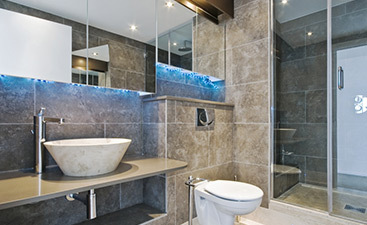 We will work with you to find the perfect tiles for your bathroom, kitchen, or floor tile project. As with the brief history shared in this post, the tile you choose to use in your home means more than aesthetics, it’s a status symbol, a way to show your worth to those visiting your home. You can visit our showroom, shop online, or give us a call today!